A "religious fairy tale for adults" is not a description that is seen too often in the world of arts and literature yet, when it comes to Oseam, I struggle to think of a more apt description. However, as rare as movies that fits that description are, a film which boasts the composed elegance of Oseam is an even rarer treat. The emotionally vivid feature tells the story of a pair of young oprhaned siblings: the blind Ga-mi and her younger, more adventurous brother Gil-son. Seeking refuge they visit a Buddhist temple where they are taken in and, in return, help with the retreat's chores, learning lessons of life from the monks who reside their. Whilst Ga-mi understands the severity of their situation, that they are essentially now alone in the world, Gil-son is too young to understand that the same accident which cost his sister her eye sight also killed their mother; he stills holds to the belief that one day she will return and look after them all once more. The feature tracks the siblings' attempts to find peace and reconciliation and does so at a serene, slow and graceful tempo with character nuances and development very much at the heart of the film. As they grow, the siblings begin to understand mourning, longing, loss, sacrifice and, ultimately, virtue. Oseam is sadly a feature that received a release only in it's native South Korean and France too, so is sadly a largely unknown feature to many in the West (and in particular the English speaking world) which is an incredible shame. 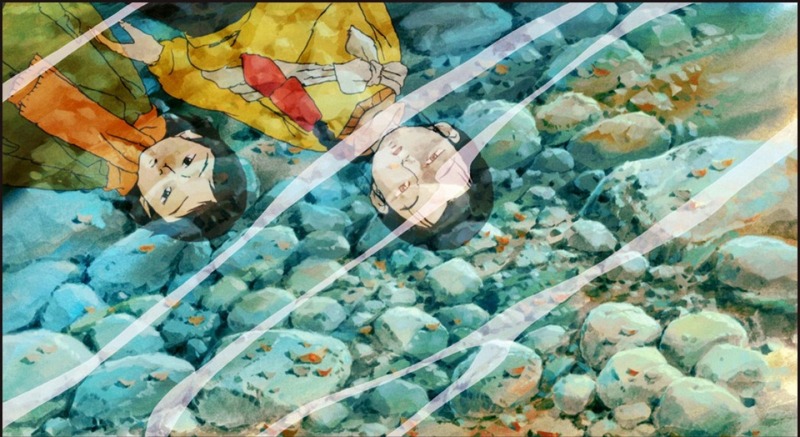 Whilst Grave of the Fireflies is often (and quite rightly) seen as one of the greatest animations ever made, Oseam is an equally warmhearted and lucid meditation on loss and acceptance (although perhaps not quite as restrained) and features an ending of equally weighty impact. The tragic Ga-mi spends a large percentage of the film in tears (this is a Korean melodrama after all!) and its not impossible to imagine that a considerable portion of those who were lucky enough to have the opportunity to see this feature felt the same. Spiritual, smart and slick - a real achievement not just in animation or film but in story-telling itself.